Discovery World Science Center in Milwaukee, WI has worked with local companies to develop and launch new initiatives focused on bridging the skills gap in their city. Paul Fladten, senior public relations manager at Discovery World, shares how it’s going in this month’s featured post. How does our community bridge the skills gap? One important way is to leverage the rich cultural and educational institutions in our region. The skills gap is a community-wide and nationwide problem. Aspiring employees are increasingly entering the workforce unprepared for job opportunities across all industries. Employers, educators, parents, and students must work together to solve this challenge. An often overlooked ingredient to ensuring a viable pipeline of better prepared future employees lies in our cultural institutions and their ability to influence students at a young age. In recent years, many ideas and experiments have been offered up in an attempt to address the disconnect that exists between employee capabilities and employer requirements. Many of these proposals focus on partnering employers with government agencies and local workforce investment boards that encourage students to begin developing industry skill-sets in high school and college. These programs are extremely important to bridging the skills gap. However, many students are moving away from these career paths by high school, either through their choice or because they have not received exposure to these careers in school or at home. So why not start at a younger age in order to provide more time to develop impressionable minds? Cultural institutions such as museums and science centers can become a vital solution to the skills gap challenge by positioning themselves at the front of the workforce development pipeline. Unlike schools, cultural institutions can more easily focus on specific industries or skill-sets that may be important to their unique locations and missions. In order for this effort to succeed, businesses and museums must be partners, and they must be transparent, open and honest about what each hopes to gain from the collaboration. For example, Discovery World and Rockwell Automation have developed a strong relationship due to the proximity of facilities and each organization’s dedication to enhancing Science, Technology, Engineering, and Math (STEM) Education. Most importantly, the partnership is getting stronger and more successful because both are committed to a common goal – sparking interest in manufacturing, automation and engineering at a young age and ensuring that kids continue along the workforce development pipeline as they enter high school and beyond. How do we get children interested in manufacturing, automation and engineering? By finding ways to make the topics fun and exciting. Like so many other companies, Rockwell Automation faces a looming workforce shortage due to retirement and a growing demand, so attacking the challenge on multiple fronts is a necessity. 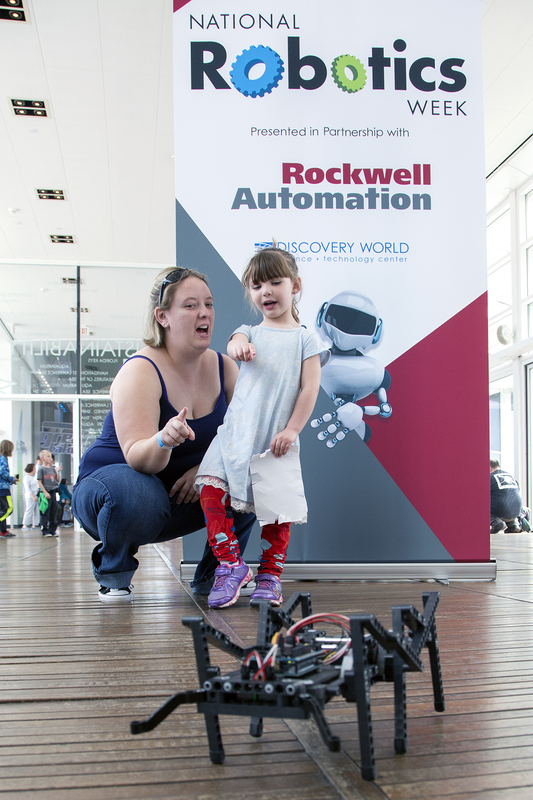 Over the last several years, Rockwell Automation has worked with Discovery World to create a multi-pronged approach aimed at introducing students to the company and to the skill-sets required to enter industry in the coming years. In 2015, Discovery World opened the Music Factory, an exhibit that showcases Rockwell Automation technology through visualization and music, using dozens of sensors and more than a thousand moving golf balls. Over the last three years, Rockwell Automation helped expand Discovery World’s automation education curriculum by providing a full-time Automation Educator to deliver programming in the Rockwell Automation Educational Lab, which offers courses in robotics, circuitry, automation and programming for elementary through high school students. 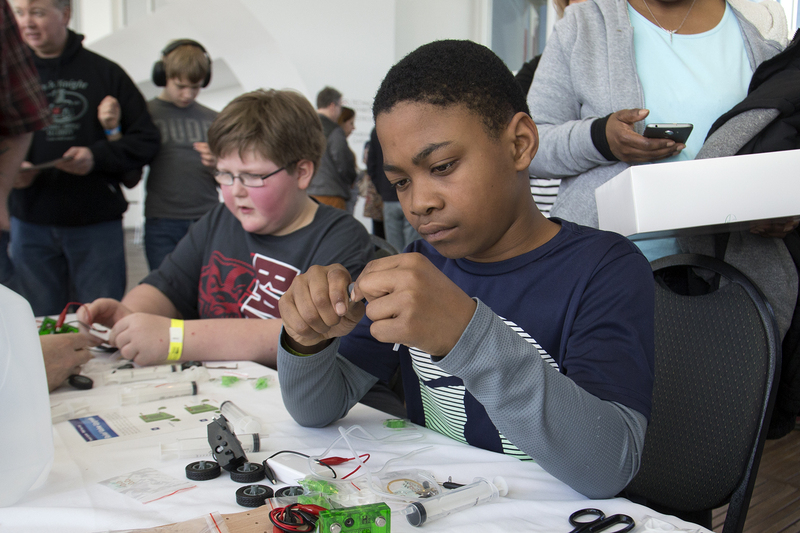 The exhibit serves to spark interest while entertaining guests of all ages, and the lab experiences provide an outlet for those whose curiosity is peaked and who want to delve more deeply into automation even before high school. Student classes during the academic year, as well as week-long summer camp programs enable that “deep dive” for kids to explore their interests. Recently, Rockwell Automation helped cultivate a partnership between Discovery World and Waukesha County Technical College (WCTC). The collaboration provides WCTC students with an opportunity to work alongside industry professionals to build and program a tic-tac-toe playing robot that is now a permanent exhibit feature within the Rockwell Automation Exhibit at Discovery World. Discovery World receives the benefit of new, fresh content done by local students, and the students have the chance to see their work enjoyed by 300,000 visitors annually. Through our partnership, we are creating transformational experiences that have the potential to inspire children to explore careers in engineering and automation. Young people are welcomed into the front door of the workforce development pipeline on Milwaukee’s lakefront, and they make additional stops along the way in schools, technical colleges and universities before making their way to a career at Rockwell Automation or elsewhere in manufacturing or engineering. Partnerships like this one offer multiple purposes and can potentially serve as a blueprint towards additional progress in bridging the skills gap locally and across the region.